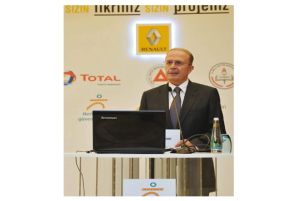 Renault Mais General Manager Ibrahim Aybar expects cutting in interest rate to bolster the automotive market. 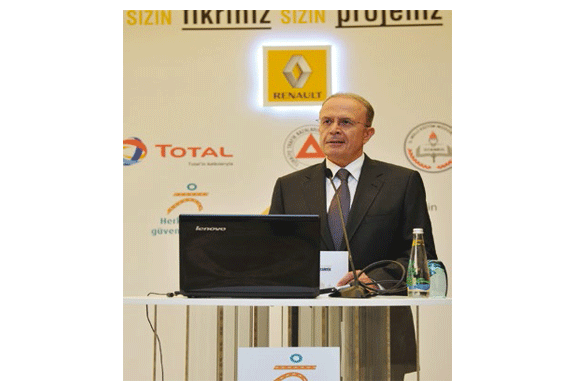 When downward trend of inflation, growth parameters and decrease in oil prices which would contribute to the current account deficit are taken into consideration, these all developments might keep interest rates towards down in Turkey, Aybar said. “The low interest means low cost in loaning. The important thing is to sustain growth of Turkey in the targeted dimension. At that time per capita income would increase as well. This is a factor to boost sales of automobiles. After 2003, we have advanced very well during 5 years up to 2008 in per capita increase. Now we wish to see upward trend in per capita income after the elections to be held 7th June,” Aybar said. Over the question about making indigenous car whether it would be hybrid or electric, Aybar said, “For me primary priority is to make a brand belonging to us in Turkey.” Stating 70 years delay in production of fossil-fuelled vehicles pushed Turkey into assembly economy, Aybar recorded Turkish automotive industry has achieved to make electric vehicle. Aybar said Renault accomplished 2014 as targeted. They got the highest share in passenger cars and also Fluence made in Turkey was the bestseller car last year. He noted they would experience to boost their market share more in 2015. “We have products to support our aim. In recent years, a noteworthy product renovation happened. Our brand identity has covered a new way. We enjoy an era that we call as renascence. We have raised the technologic level to a very upper level. We have started R-Link application to make people online every time and also secure safety drive. We have been able offering vehicles that everybody wishes. Now expectations from automobiles that pollute environment less, fuel less we have provided these with our new models. Furthermore, regarding implementing these in our automobiles intensively we have become the bestseller brand. We will sustain these,” Aybar concluded. He also added they would advance to a more assertive level in commercial vehicles this year.